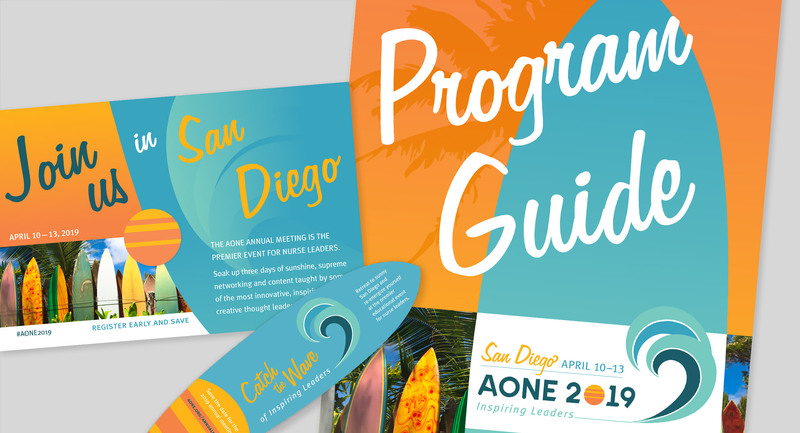 We always love working with AONE on their annual conference branding. The alchemy of combining the feel of the meeting location with visually communicating the wealth of visual and written information that attendees need to to guide and inform their experience feels like magic as it all falls into place as a set of materials and visual cues that pull the whole meeting together. But, surprise, it’s not magic! 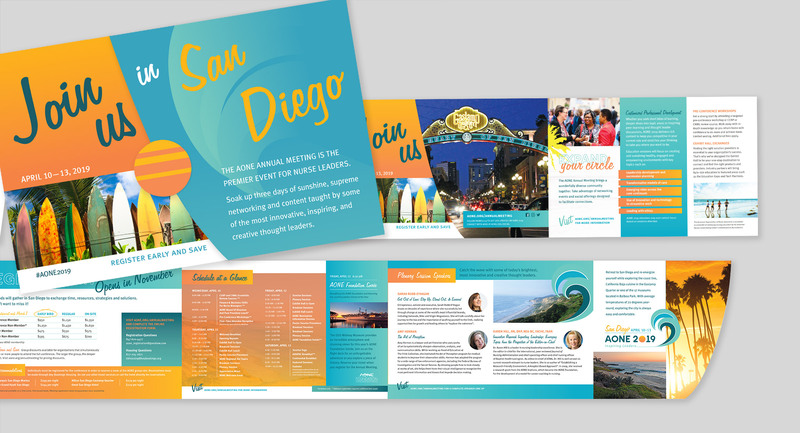 Each year, we do extensive research on the hosting city, both visual and historical, then translate our findings into the conference brand as we plan out how to best visually label and articulate the conference information (think tracks, events, session information, schedules, the list goes on). 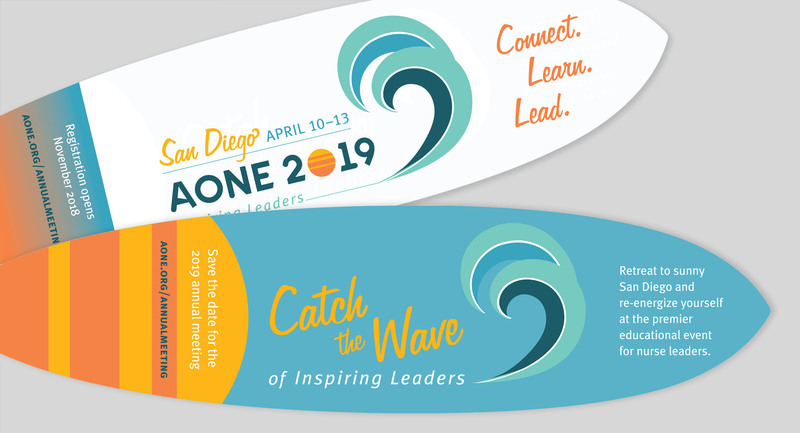 2019’s San Diego setting was an inspiration from the beginning, and we eventually landed on an aesthetic of a ’60s surf poster vibe meets contemporary beach life. 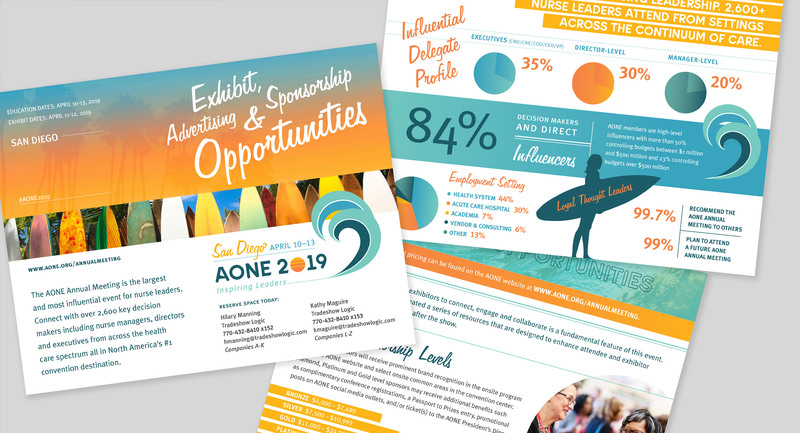 To communicate this feel, we relied on saturated colors, sunset and ocean water gradients, and gorgeous photos of waves and the beach. More to come! This project is still in progress so check back.